A recent online rumor got people buzzing about a possible 2018 release of PlayStation 5, but that’s probably not going to happen. In fact, from what we’ve heard, the next PlayStation is a ways away—it may not arrive until 2020. It’s been nearly five years since the PlayStation 4 and Xbox One launched, which has triggered bouts of nervousness and excitement among video game fans who want to know when they’ll have to start hoarding pennies for a new generation of consoles. The PS4 launched seven years after the PS3, the Xbox One eight years after the Xbox 360. It’s not unreasonable to be thinking about the next generation. We don’t have a concrete answer just yet, but we have been asking around, and what we’ve heard is a whole lot of uncertainty. Over the past month, I’ve spoken to dozens of game developers, across a variety of disciplines and studios, about the next generation of consoles. Of those, two people said they were directly familiar with plans for Sony’s new console. Those two people both told me that the next PlayStation is unlikely to release in 2019, let alone 2018, although they were careful to be clear that these plans are always shifting. “On a multi-year project, a lot can happen to shift schedules both forward and backward,” one person said. “At some point, Sony’s probably looked at every possible date. It’s all about what they think is the best sweet spot in terms of hardware.” A surprise move by Microsoft or another competitor, for example, could trigger a change in plans. In summary: There is information about the PlayStation 5 floating around at both first- and third-party companies, but it’s far more limited than it would be if the console’s release was imminent. PlayStation 5 development kits are another question. A development kit is a proprietary piece of hardware that allows game-makers to build and optimize games for a specific console. It usually comes with proprietary software, too, such as a console’s operating system and other “debug” features that allow developers more access to the hardware than they’d have with a retail device. It’s possible to replicate a console’s development environment by using software on a computer, and these days, game engines like Unity and Unreal can facilitate that process, but in order to release games on the PlayStation, developers will ultimately need the tools and licenses provided by devkits. These development kits are especially useful for debugging and preparing for certification, the process that Sony uses to test and approve of new games. But the term can be misleading. To say that “PS5 devkits” are out in the wild could mean several different things. “Super early devkits are often PCs with the CPU and GPU,” said a source familiar with Sony’s console development, referring to the processor and graphics card of the future machine. Early “development kits” might not resemble a PlayStation at all. As a result, before a new console is released, studios will typically work with multiple versions of development kits. One person who worked in a high role at a major game developer said that their company had received proper PS4 devkits, then code-named Orbis, about a year before the console launched in November 2013. Another person who worked for a major game studio said they were working with PCs dressed up as development kits around 18-24 months before the PS4 came out. The PlayStation 4, unlike its predecessor, was built with PC architecture, allowing more flexibility there. If these early PS5 devkits are out at game studios now, they are likely extremely well-hidden. With earlier PlayStations, sources said, Sony had worked hard to keep development kits secret, even sometimes asking game studios to lock them in rooms where access was restricted to a select group of people. Making things more complicated is the existence of Xbox One X and PlayStation 4 Pro, upgraded versions of each respective console that have their own dedicated development kits. These “mid-generation” hardware refreshes suggest that Microsoft and Sony have taken a different approach to the current cycle of consoles, and it’s fair to wonder how they might influence future consoles. Those mid-gen upgraded consoles are still new. The Pro came out in November 2016, while Xbox One X released in November 2017. 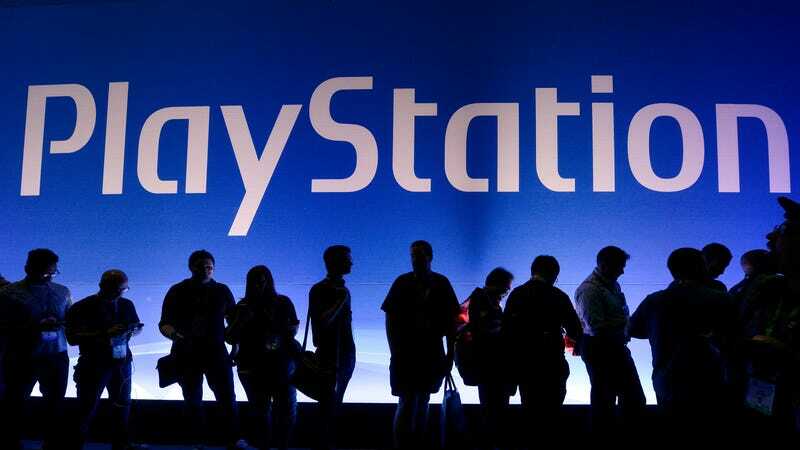 What we’re hearing from developers is that most people expect Sony’s next console to be a PlayStation 5, a machine that runs games that won’t run on PS4, but that they don’t expect it for a while. At the Game Developers Conference in San Francisco last month, secondhand rumors I heard also suggested a 2020 release. Word from a few people was that in meetings between Sony and developers, representatives for the publisher had dropped vague hints about that 2020 timeframe. But it’s worth reiterating: When it comes to hardware, anything can change. Sony did not respond to a request for comment.